How You Can Change Ringtone in Windows 10 Mobile! You get to know about the Incoming call on your smartphone due to the ringtone you set. The Ringtone is the most important thing for any smartphone, as the phones are made for making and receiving the calls, and the extra smart functions were added later. The Ringtone helps us to get the alert of the Incoming call or the incoming messages and the notifications. For me, the Ringtone on my Nokia Lumia smartphone, based on the Windows 10 Operating system is the closer to my heart. I usually change the ringtone on Windows 10 mobile to get the call alerts with different tone every time. Many of my friends who have window 10 smartphones don’t have a clue about How to Change Ringtone in Windows 10 Mobile. If you are also one of the people who don’t have a clue on how to change ringtone in Windows 10 mobile, then buckle up. In this post, I will share the easiest and smartest way to alter the tone in the Windows 10 smartphone within seconds. There are many ways about How to Change Ringtones in Windows 10 Mobile. I will try to share all these ideas here in this blog post. 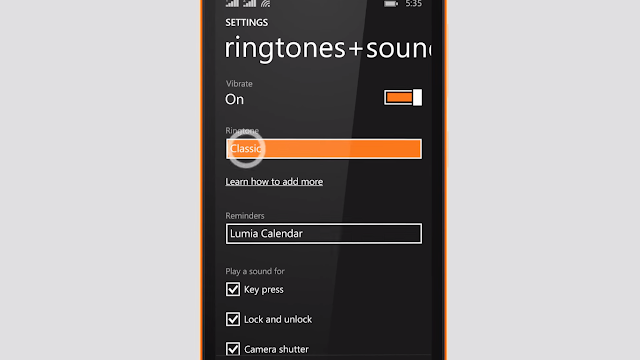 So, if you are desperate to know about changing the ringtone in your windows smartphone, then here are the useful ways. Changing the ringtone in windows 10 mobile is not at all rocket science. If you are thinking about this, then you are wrong. I’ve found the simple way to change the current ringtone and switch to the another tone within seconds. I’ve mentioned that procedure below. Please check it out and try it on your device. First of all, open up the “Settings”. Then, tap and open the option “Ringtones & Sounds”. Now, you’ll be able to see the option to change the ringtone. Tap on the name of your current ringtone and you’ll see the bunch of inbuilt ringtones to choose from. Choose any of the inbuilt ringtones and you’re done. 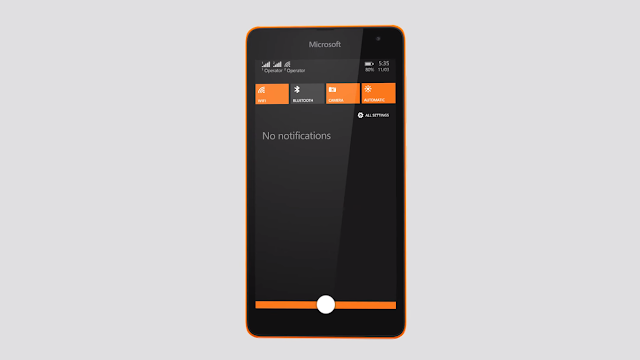 Now, the newly selected tone will ring on every incoming call you receive on your windows mobile. Whoa! I hope you are enjoying your new ringtone very much. But I can hear many of them are not satisfied with this steps. They want something more! If you are not pleased with this method of changing the ringtone, then you should explore some more methods for changing the ringtone in windows smartphone. For those who don’t know, I want to tell you that, “In Windows 10 smartphones, you cannot set your favorite song as the ringtone directly from the smartphone. The problem or the bug has arrived in the Windows 10 mobile OS from the Windows 8.1 mobile OS and not yet patched by the Microsoft”. So, what about those people who want to set their favorite song or the piece of the music as the ringtone, then you should check out these steps. In these steps, you can configure your favorite music as the ringtone. For these steps, you need a computer with any Windows operating system. Without the computer, it is impossible to add your favorite music piece as the ringtone. 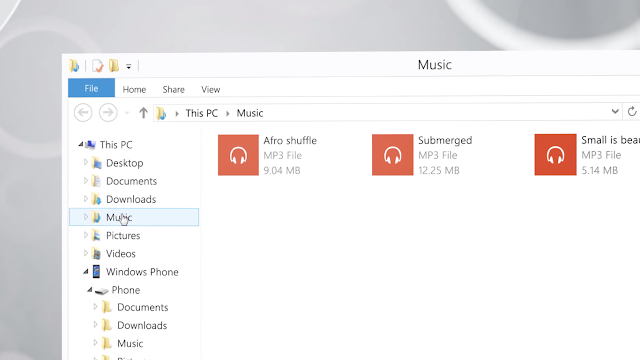 For adding your favorite piece of music or the song as the ringtone, you’ll need a computer with Windows OS. Assuming that you have one and currently accessing it, we’ll start the steps. Step 1. 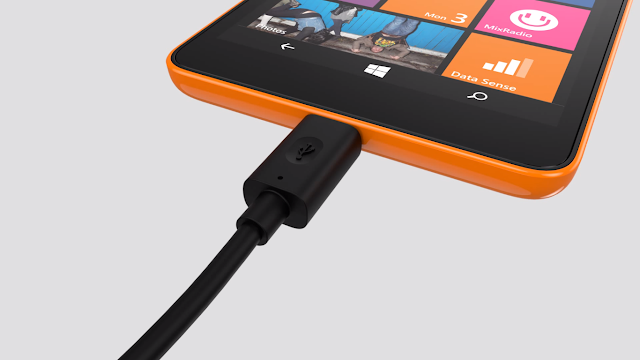 First of all, take your Windows 10 smartphone and connect it to the computer using appropriate connector cable which may have come with smartphone bundle when you bought it. Step 2. 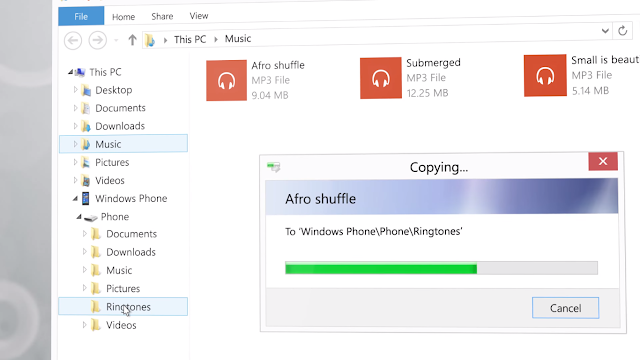 Till it joins, you should keep the .MP3 file of the favorite music or song, which you want to add and set as ringtone in your windows 10 mobile handy. For example, save it on the desktop. Step 3. 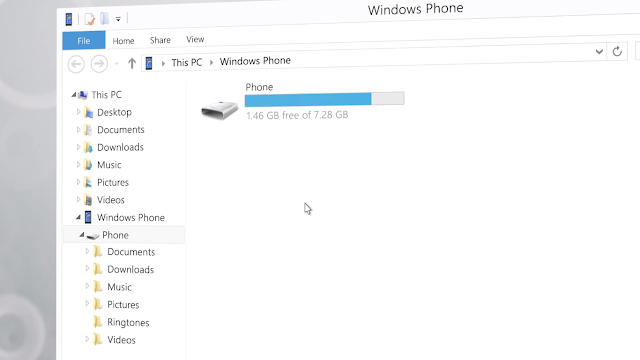 Now, go to the “File Explorer” or the “My Computer” on your PC and check if you can see your Windows 10 smartphone connected to the PC or not. If it is plugged, you can see it as the storage device on the window. Step 4. Now, click on the device and navigate to the “Ringtones” folder. Make sure; you access the “Ringtones” folder in the Phone Storage, not the SD Card storage of the smartphone. Step 5. Now, copy and paste the ringtone in .MP3 format, which you want to set as the ringtone in the “Ringtones” folder. And you’re done! Step 7. And then tap on the option “Ringtones & Sounds”. This option is to modify and manage the looks and sounds of the smartphone. Step 9. After tapping, you’ll see the all original ringtones in your smartphone. Tap on any of the listed Ringtones and you’re done! You’ve successfully changed the Ringtone of your Windows 10 Mobile. Scroll to the tab to see custom ringtones. I can bet this was too easy for you to modify the ringtone in your windows mobile. But, if you don’t have the computer to follow the procedure mentioned above, then you should try another method, which we’ve found to be working on the most of the Windows smartphones. The bonus method is added for the readers and the users of the Windows 10 smartphone, but don’t have the PC. in this approach, I am going to explain the procedure to change the ringtone and set your favorite piece of music as the ringtone. Step 1. First of all, find the “Ringtone Maker” app on your mobile. It is the proprietary app from Microsoft, which comes pre-installed on most of the Windows smartphones. If you don’t have it on your device, then only install it again from the Windows store. Step 2. After finding the app, open it and select any music piece or a song in the app. The App is a Song cutter so that you can turn the long song into the short ringtone. After loading the song from smartphone to the app, you’ve to cut and edit the song by moving the Edge-pointers on the screen and SAVE it. Step 3. Now, the Cropped and Edited song can be used as the ringtone whenever you want it. 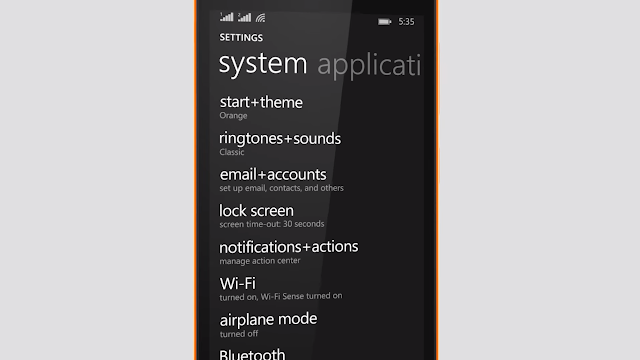 So, these working methods will help you to learn How to Change Ringtone in Windows 10 Mobile. I tried all of these methods to modify the ringtone. I am quite happy with the first method as it is the simplest method you can follow to change the ringtone on windows mobile. We hope you followed any one of these methods and got the expected result without wasting the time. If you find this post helpful, then do share it with your friends and foes who use the Windows smartphone and want to change their ringtone. Remember, the Ringtone reflects the bit of your personality to the public. 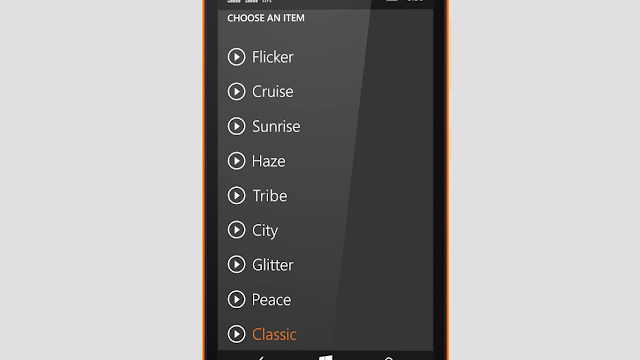 Make sure you choose correct ringtone on your Windows smartphone.